I have in the past written up little book reviews on my blog, I wrote a personal review about #GIRLBOSS a few months back. 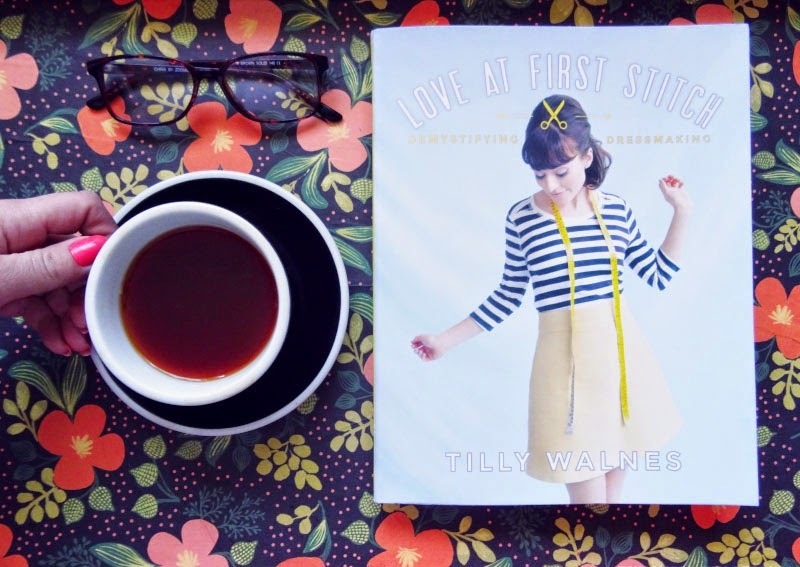 I have been a massive fan of Tilly Walnes since the Great British sewing Bee which needs to come back asap! As much as I love the Great British Bake off, I’m more of a fan of the fabric kind. So when Tilly followed me on Twitter Yes I did fangirl a little ha! So when I grabbed this book in the V&A shop I fell in love as I flicked through the pages. So lets take a moment and appreciate the front cover of Love at first stitch. Before I knew it was Tilly Walnes who wrote this book I was lured in by the simple and beautiful front cover. The colours defiantly appealed to the artist in me. At the start of the book, Tilly takes us through her story and the basics you will need too start. I adore the photography that features in this book but more of that later. 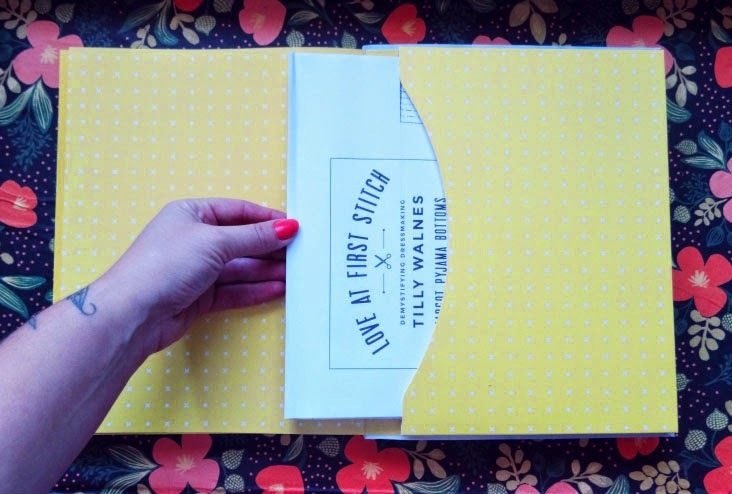 One of the great things about the start of the book is that Tilly talks us through the different types of fabric and where to use them best. I learn’t this from an early sat in front of the sewing machine with my grandmother, but its always great to hear other creatives knowledge. Tilly takes us through simple items to begin with. 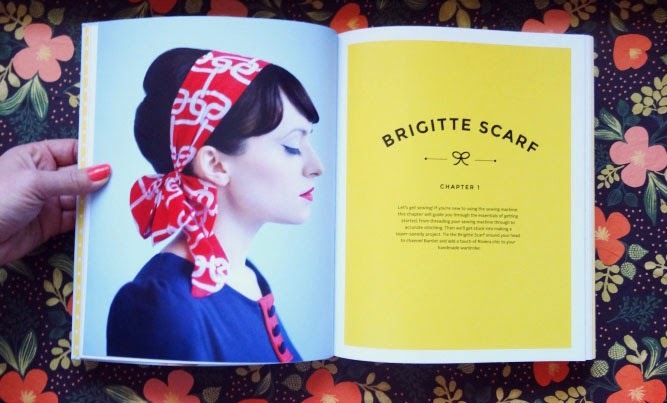 One of the reasons I had to get this book was the fact she showed us how to create simple pieces like scarfs and not so simple pajamas( I tried to make trousers before it ended badly). The book is very wordy which is great as its so indepth. As someone who did textiles and fashion at A level I had a basic knowledge but i’m a messy impatient sewer i’m not one for tacking or pinning. So reading and looking at the detail and precision that it takes to make a great garment has opened my eyes. 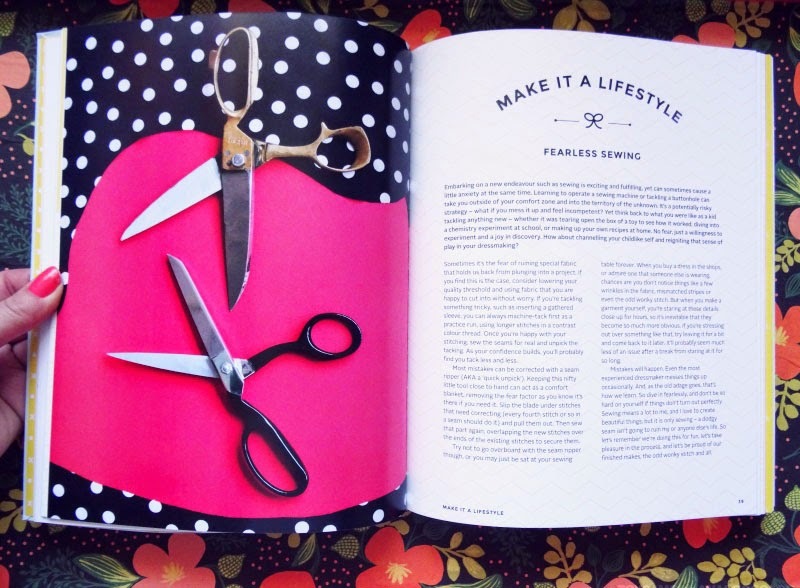 You can easily adpat the patterns that come in this book, I am after making a crop style top, and some of the dress patterns would be great for this. Now lets talk about photography and layout. I’m a sucker for bright colours and a well laid out page. 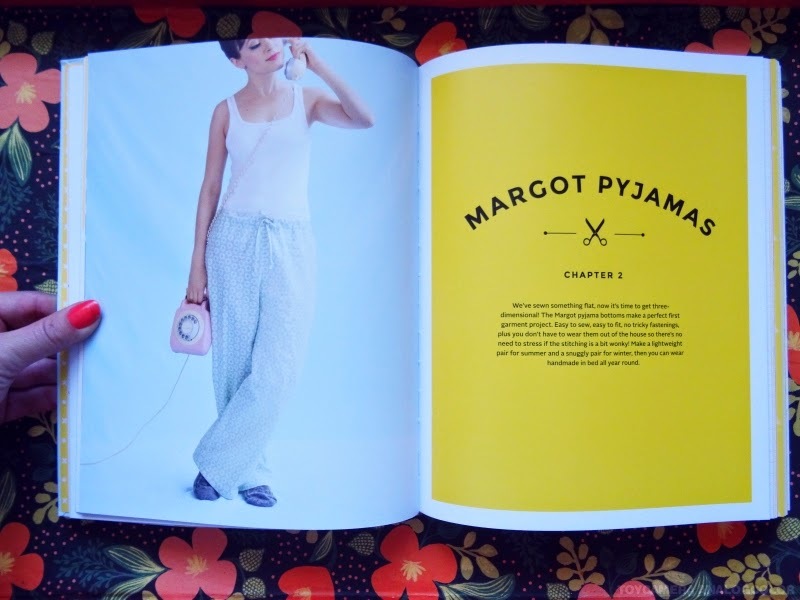 The colour themes that run through the book are yellow and blue with a few hints of different fabric colours. Now the headings are cute and fit in so well with the cute clean look of the book. Now this was the deal breaker for me, at the back of the book Tilly has added patterns for all the dresses, skirts and other garments that feature in the book. There are a few pieces that I am desperate to get making I’m in love with the Delphine Skirt ( which features on the front cover) which I think would look amazing in my new black and white sprinkle fabric . I still have to get my head around pattern cutting as I haven’t done it in years. But as soon as I laid eyes on this book I needed it in my life, I think that speaks volumes and at one £20. 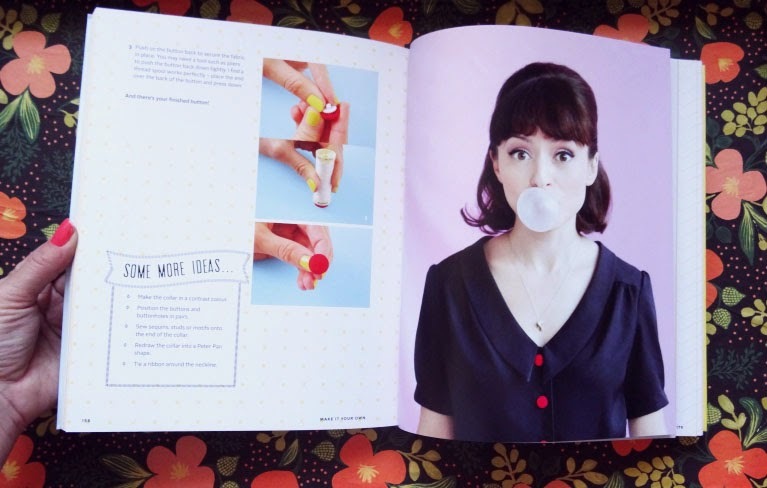 There are also some really wonderful blogs that are featured at the back of the book, Tilly has her own blog Tilly and the buttons. I would recommend this for newbies as well as seasoned professionals as I think you should never stop learning. 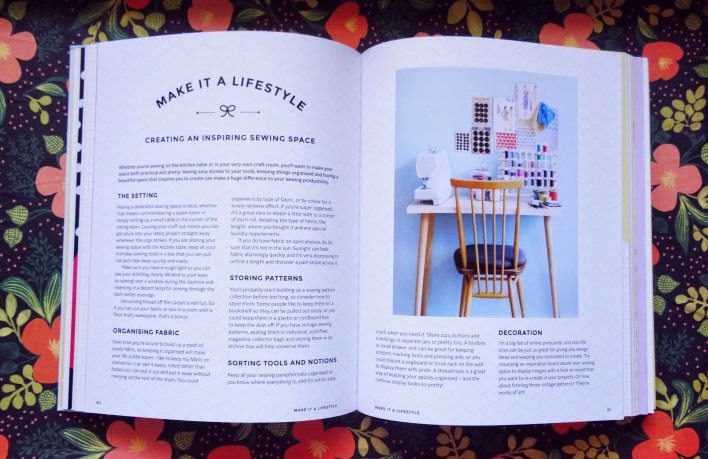 Its a great un-patronising and defiantly demystifys dressmaking. I give this book a wonderful 5 stars for its sheer wonderful knowledge, photography and openness for beginners. *All opinions are my own this is not a sponsored post. Next Post Freelance off with bang! I was thinking about getting this, as I just cannot get the hang of sewing anything more complicated than a cushion cover – the patterns are a deal breaker for me, I've just added it to my Amazon wishlist! Thanks for the review! must have this book! thanks for sharing this. Ooh, love this! I may just have to give it a go! Sounds like a good read, i would definitely get this for my girlfriend.